Standing and raising aids (SARA), also known as sit-to-stand devices, are often used by caregivers to transfer patients or residents between two seated positions, e.g. seated on the edge of a bed to a wheelchair, or seated in a wheelchair to commode or a shower chair. 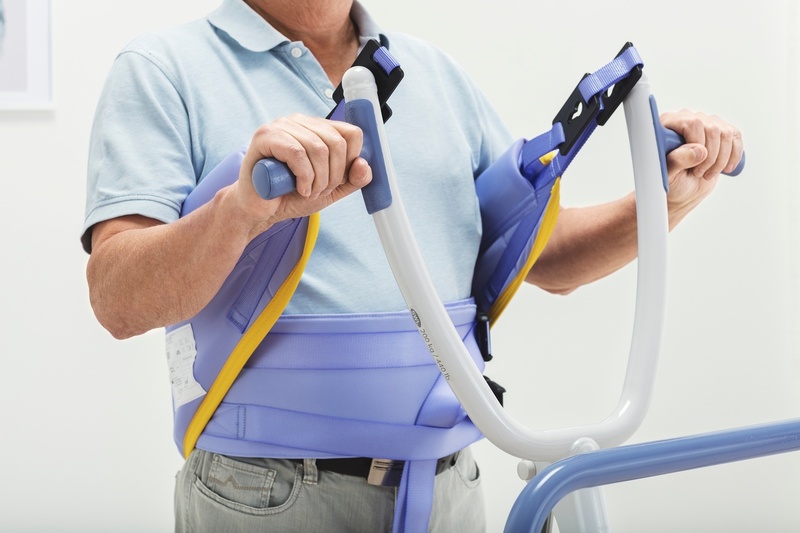 A standing and raising aid is an active patient lift designed  to support only the upper body of the patient and requires the patient to bear some weight. As caregivers can often perform a sit-to-stand  transfer several times in  a day, standing and raising aids are generally considered an essential part of daily life, helping to relieve the potential stresses of weight bearing routines on caregivers, whilst providing a comfortable, safe transfer for patients. Manual transfer of a patient is physically demanding and can cause risk of injury to a caregiver.¹  Standing and raising aids provide a safer alternative to manual transfers performed by caregivers. Patients and residents also benefit from these devices with less risk for patient falls compared with manual transfers. The correct equipment must be supplemented with the correct knowledge. At Arjo, we are dedicated to improving the lives of everyone affected by the challenges of reduced mobility, both patients and caregivers. The Arjo Diligent Ergocoach education programme is delivered by clinical specialists such as Occupational Therapists, Physiotherapists and Nurses, which provides identified caregivers with the knowledge and skills that will enable them to become peer leaders in people handling within their own facility. During the course, emphasis is placed upon the seamless integration of theory and practice, using a coaching approach as opposed to formal classroom training. For more information on our education and training programmes, click below.